comes unfailingly caring and pleas� ant to everyone. POK�MON, it will nurse the sufferer back to health. Emerald If it senses sadness with its fluffy fur, a BLISSEY will rush over to the sad person, however far away, to share an egg of happiness that brings a smile to any face. FireRed It has a very compassionate nature. If it sees a sick POK�MON, it will nurse the sufferer back to health. 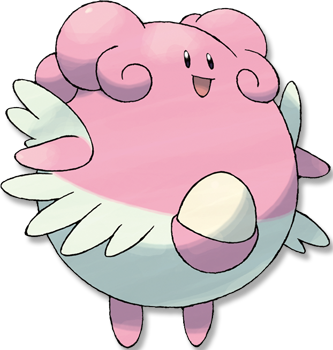 Leaf Green Anyone who takes even one bite of BLISSEY�s egg becomes unfailingly caring and pleasant to everyone. Diamond/Pearl It is a Pok�mon that delivers happiness. Eating its egg is said to make one kind to everyone. Platinum The eggs it lays are filled with happiness. Eating even one bite will bring a smile to anyone. Heart Gold Anyone who takes even one taste of BLISSEY�s egg becomes unfailingly caring and pleasant to everyone. Soul Silver It has a very compassionate nature. If it sees a sick Pok�mon, it will nurse the sufferer back to health. Black The eggs it lays are filled with happiness. Eating even one bite will bring a smile to anyone. White The eggs it lays are filled with happiness. Eating even one bite will bring a smile to anyone.